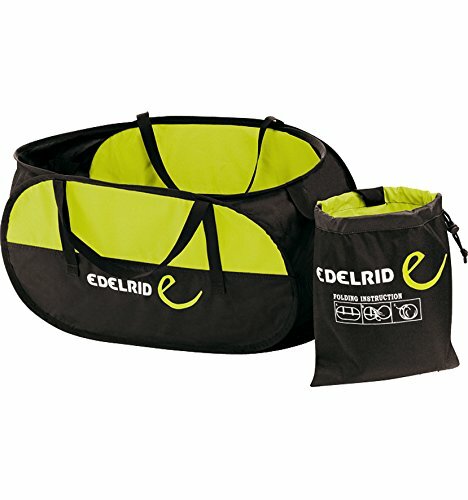 EDELRID Spring Rope Bag, Oasis/Night by EDELRID at Wildly World. MPN: 88316-219. Hurry! Limited time offer. Offer valid only while supplies last. Throw line cubes are the best solution for storing and deploying your throw line. The Falter takes the concept of the line cube to the next level. Throw line cubes are the best solution for storing and deploying your throw line. The Falter takes the concept of the line cube to the next level. Like all throwline cubes, the Falter neatly contains your line and throw bags, but it is super-compact when folded - only under 8" x 5". When opened, the Falter measures 18.9" x 10" x 9.5" tall. This more rectangular shape gives a longer space for your throw line to lay out, reducing tangling. 2 inner pockets for storing throw bags, two loops for securing throw line. If you have any questions about this product by EDELRID, contact us by completing and submitting the form below. If you are looking for a specif part number, please include it with your message.